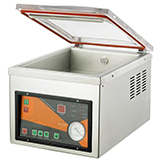 The DZ-350MD vacuum sealer is available with a digital control panel that is user programable to memorize frequent sealing operations and the DZ-350 MD has a wide, long vacuum chamber that will accomodate very large packages or several small packages in one sealing cycle. It is possible to seal as many as four small pouches in one operation greatly increasing productivity. 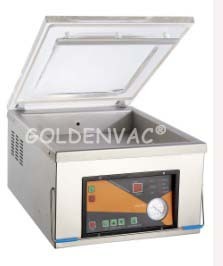 If you have any enquiry about quotation or cooperation, please feel free to email us at lillian@goldenvac.com or use the following enquiry form. Our sales representative will contact you within 24 hours. Thank you for your interest in our products.